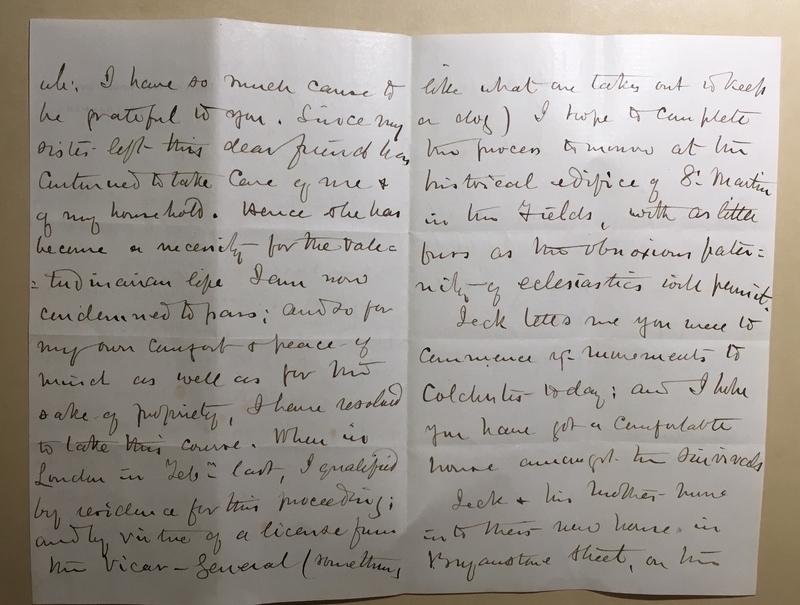 In the Veale family papers, 1872-1899, Dr. Henry Veale, a British Army physician, received a series of letters from two individuals, both of whom described their decidedly gloomy take on marriage. The only alternative is to marry and live unhappily on alternate days so as to get a little change. It makes one almost wish to have someone to squabble with with so as to get through a few odd hours. (box 1, folder 4, letter dated June 23, 1898). 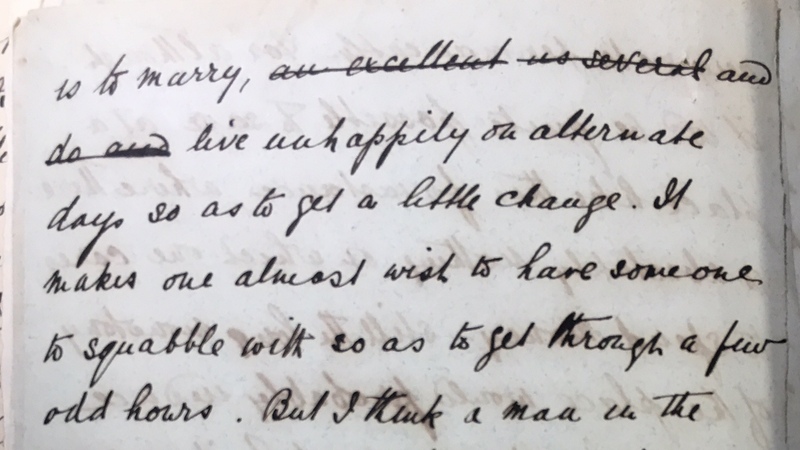 The full set of letters from each correspondent shows that these two writers shared more than just their dismal views on marriage: they both suffered from indigestion. So, was marriage really such a dreadful thing? Or were these two simply grumpy because of all their discomfort? This Valentine’s day, may I suggest adding some prettily packaged antacids to the thoughtful and loving gift for your special someone, just to be safe! This entry was posted in Manuscripts, Uncategorized by Holly Mengel. Bookmark the permalink.